Use 1 1/2" bands and wider for movement-resisted exercises. All bands are 40" longs. Put weight suggestions for each band. These Bands are great. Please put weight suggestions for each band though. Its harder to tell what to get. Disappointed that this band broke after several weeks of home use. These bands have outlasted all the competitors with a higher usage volume! We've had several brands of mini and regular length resistance bands over the last few years and the Perform Better bands have maintained their strength for the longest duration. Please keep producing these high quality bands! Thank you for amending this page to include weights for each band! Best Bands you will ever buy!!!! Amazing bands!! Love the fact that they are strong and last forever and can be used for a variety of things. I've had 3 of these for over 5 years and 2 more over 8 years. If you do not know which band color to get, I would recommend 1 1/8" for a female and 1 1/2" or 1 3/4" for males. Great product for changing up workouts. I use them when traveling, too. Great band to have for progressive resistance. Not too strong or weak. Good Training aid/tool. Used in the golf setting, it enhances some of the drills commonly used especially with regards to weight shift. The Superband is a piece of equipment that is quite universal and essential for any fitness professional. I really like that it is portable and reliable. I like much. Great space saver, lots of variety in resistance, light weight ( I carry my equipment to client)versatile. I use for rows, squats, lunges, curls, overhead press. Woman should buy gloves because it can bite skin. Men don't seem to care. I bought this band to assist in doing pull-ups. It works great and allows me to do multiple sets with full extension. For quick on and off, I devised a adjustable chain connector to fasten the band to the overhead bar. 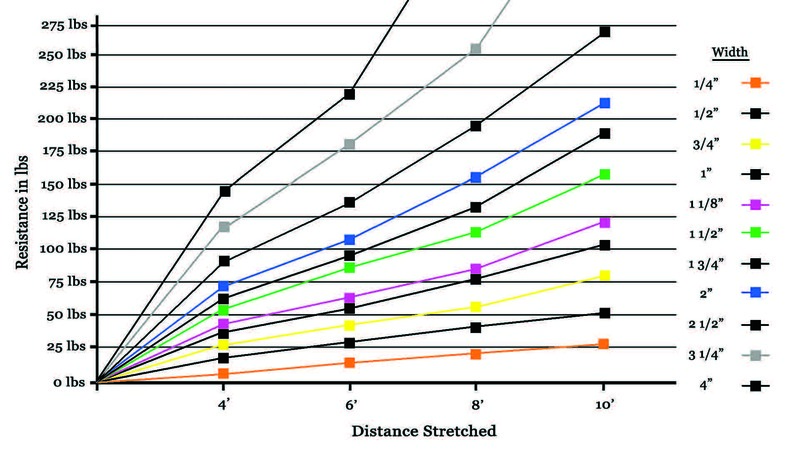 The smaller bands 1/4 and 1/2' are the best for the pre-hab and post rehab work. you can easily target the smaller more deep to the joint muscles. Plus its so portable there is no excuse to not do the work your body needs! Great product for just about any exercise you would need use of a band. The Gray Superband is the only band that my baketball players use to increse explosiness on tricpes. The speed push down with that band are the best. Ive used other bands and this one is by far the best. It has a perfect amount of resistance and its quality is really good. It is a great product. There are many uses for superbands. They don't take up much space and pack easily for travel. I purchased the gray 3 1/4&quot; band mostly to work on mobility and self-stretching. The band is just too heavy for that application. It would be better utilized in partner work or perhaps sled pulling. I will be purchasing the smaller 2 1/2&quot; black band to better serve my needs. These bands are good quality products. I have always ordered the green bands, but these have recently been changed. They are no longer a matte rubber, now they are very slippery bright green. I hate the feel and texture. They also scuff and mark up easily.